spoolWorks is filament by E3D. Currently we resell FlexD filament, a flexible filament. 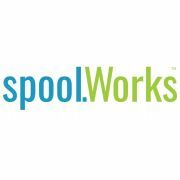 All the bouncy bendiness you want in a flexible, with the quality you can expect from E3D's spoolWorks brand. Also we have the Scaffold filament that is a PVA/PVOH-based but easy to print with low viscosity filament which is desolvable in water.